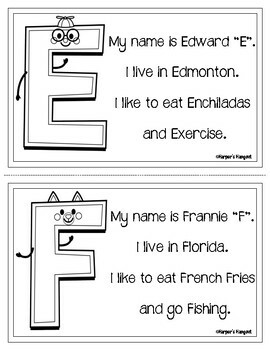 Meet the Alphabet Friends!! All 26 of our friends will introduce themselves to you and your students including their names, where they are from, what they like to eat and what they like to do! The plus is everything begins with their letter of the alphabet! 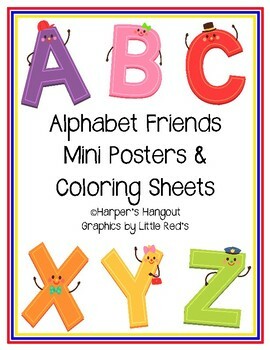 The set includes color mini posters and coloring sheets for each letter. 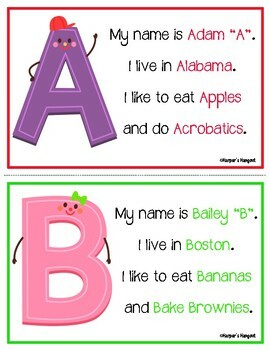 What a fun way to teach the alphabet!